Today kicks off the 4th annual Treetopia Design Council (sponsored). I am so excited I could spit as some of my faves on social media are participating. It’s 5 days and 10 trees of awesome all about the different shapes, sizes and traditions of Christmas. What are my family traditions when it comes to Christmas? Well I’ve got a few. I like to tell people I was raised in the aisles of a flea market. When I was a child my parents bought a Victorian home and I spent many weekends being dragged through antique shops, flea markets and thrift stores looking for treasures. At the time I was less than enthusiastic about the outings but as an adult is something I still do regularly with my family, my mother in particular. 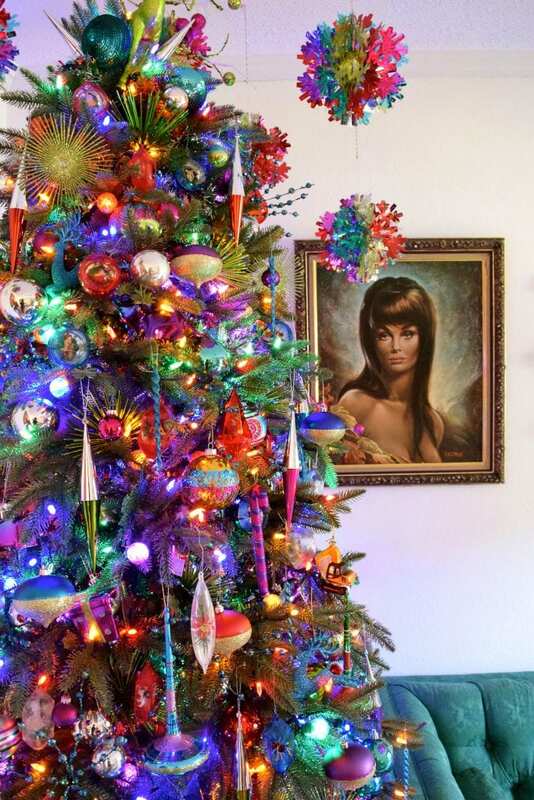 All of my Christmas trees include an array of new and vintage ornaments. Most of those vintage ornaments were gathered on shopping expeditions with my mom and sister. 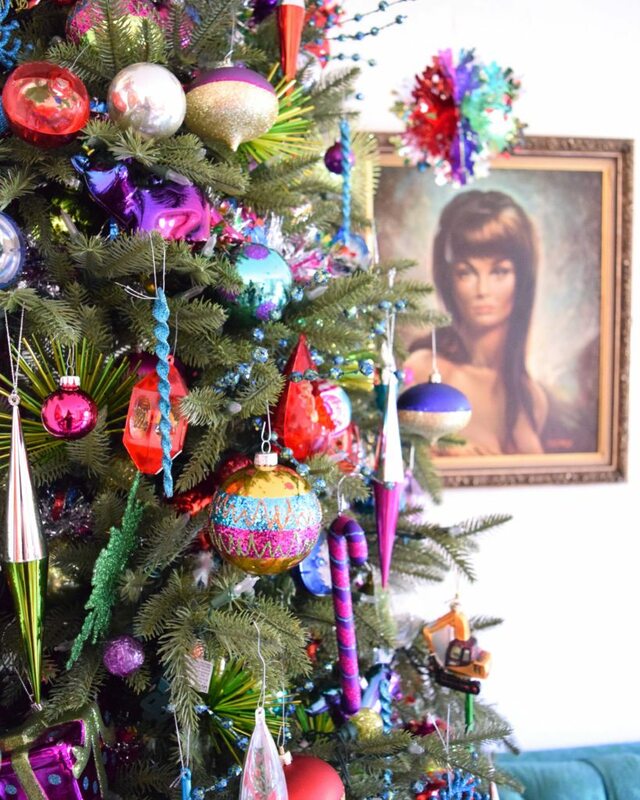 My Portland Pine tree may look bright and shiny full of luxe jewel toned ornaments, but if you look closely the whole thing is peppered with vintage Jewel Brite ornaments amassed over years of family shopping trips. Posted November 22, 2016 & filed under Christmas, Holidays. Jennifer, I love the color! 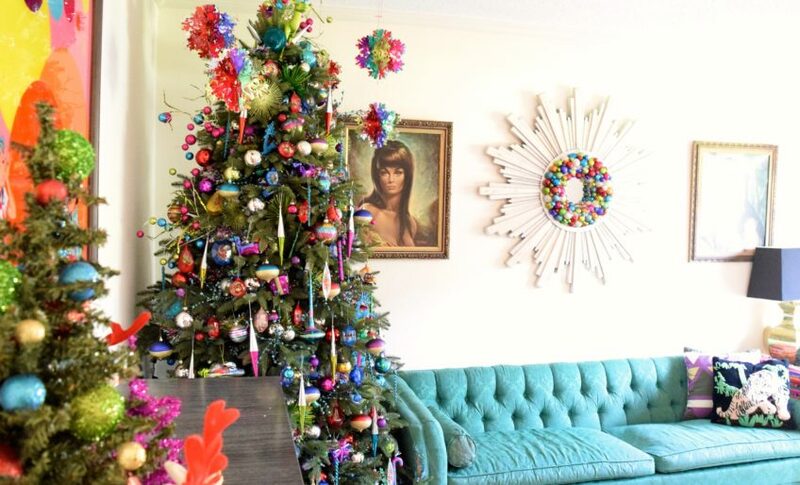 It is such a beautiful tree and looks perfect with that sofa!